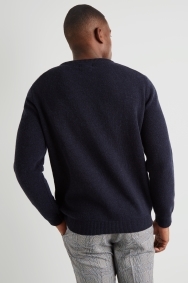 Pick this Moss London jumper for a subtle way to upgrade your off-duty wardrobe. 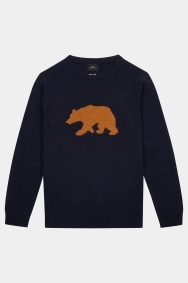 Featuring a crew-neck and made with a lambswool rich material, it will keep you warm through colder days. 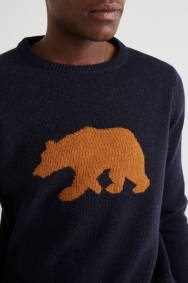 In an easy-to-wear navy, its elevated from simple to stylish by the contrasting bear pattern. 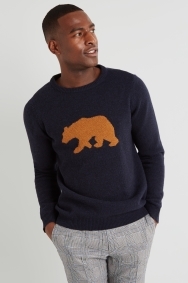 Team with cream chinos and brown brogues for a relaxed look that won’t see your style slacking.